With quick and efficient care a duck’s broken wing can be treated and healed back to normal. One of my male ducks has a broken wing. It’s currently wrapped against his body and is swollen and hot. The duck is being careful with the wing, but he gets upset when I change the bandages. Is there anything I can do to make him more comfortable? How long will his wing take to heal completely? Sorry to hear about your injured duck. The good news is if a broken wing is tended to immediately, it’s possible to fix it. The fact that he is still getting around is a good sign for a quick recovery. 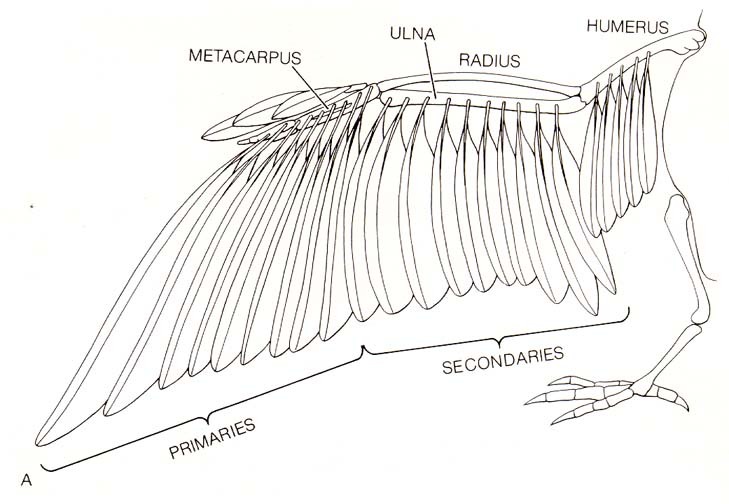 The skeletal system of a bird’s wing is very similar to a human arm. The humerus is the large bone that starts at the shoulder joint and extends to the elbow. The thinner ulna and radius bones extend from the elbow joint to the wrist. Extending from the wrist joint are the fused digits. Before working on the broken wing, make sure to look for any wounds. If there’s a wound, make sure it’s clean and apply a topical antibiotic. Detergents are damaging to wound tissue and very irritating, so never pour them into a wound. If this occurs during a season when flies are active, consider applying an anti-fly and -insect spray to the wound in order to prevent a possible maggot infestation. The next step is locate the fracture to see which bone(s) is affected. You can identify the location of the fracture by palpating the broken wing. When you’ve done that, identify the type of fracture: simple, compound or multi-­fragmentary. The bones of birds are unique in that they’re hollow, pneumatic bones, which enable them to be light enough to fly. As such, these bones are relatively brittle and prone to developing multiple fractures at one site. The location of the fracture will determine the type of wrap needed to immobilize the bone. Ensure the correct alignment of the bones prior to wrapping. If the fracture involves the ulna and/or radius, a figure-eight wrap is needed; it provides the most support for immobilizing the affected bones and muscles. It’s important to get all three wing bones (humerus, radius and ulna) in the wrap. The wrap should go around the bones three times. While it’s important that the wrap be tight enough to ­immobilize the broken wing, it’s also important to not apply the wrap so tight that the blood circulation is cut off. If the break is with the humerus, wrap the broken wing to the body to immobilize this bone. Do not use the affected bone(s) for support. Again, it’s important that the wrap be tight but not too tight. Birds must be able to expand their rib cage in order to breathe. If the wrap is too tight, the bird will suffocate. Wrap the broken wing to be the least restrictive to the bird so that the bird is able to move around to eat and drink while providing enough support to allow for the healing of the broken bone(s). Avian bones typically heal faster than bones in mammals; keeping the wing wrapped for two weeks is usually enough. While the broken wing is wrapped, restrict the duck’s access to pools of water, including ponds and lakes, and once you remove the bandage, keep an eye on the wing activity. Inflammation is typically involved in the healing process. There is no doubt that birds with broken bones will be suffering from some degree of pain. Nonsteroid anti-inflammatory drugs should be used; a simple adult aspirin will work. Dissolve five aspirin tablets in 1 gallon of water and offer the solution free-choice to the duck. This article was vetted by Dr. Lyle G. McNeal, a livestock specialist in the Department of Animal, Dairy and Veterinary Sciences at Utah State University. Jacquie Jacob, PhD, is a Poultry Extension Project Manager at the University of Kentucky who specializes in small and backyard flocks and works with youth poultry programs. She has also worked at extension offices in Florida, Minnesota, Africa and Haiti.